Cheers to 2019! We are just one day away and if you’re like us, you’ll be cookin’ up a delicious New Year’s Day dinner. Did you know, in the South if you eat certain foods on New Year's Day, they guarantee good luck throughout the year? Here are just a few of our favorites using Heritage Farms Cheshire Pork. Peas or beans are symbolic for wealth or coins. 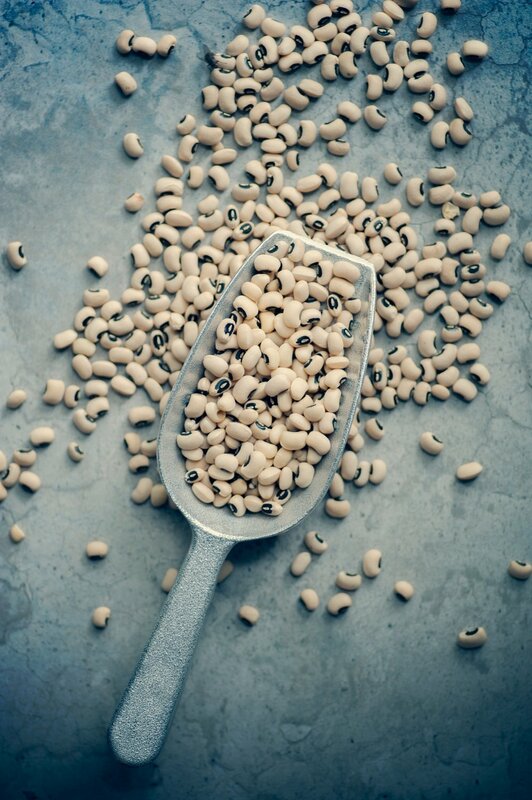 Each year, we eat black-eyed peas seasoned with our pork. Most folks use a ham hock or diced country ham. We’re especially fond of using our WayCo Cheshire Ham that is aged to perfection! Greens resemble money. Most Southerners will make New Year’s Day dishes using collard greens, chard, kale, mustard greens and other green. leafy vegetables. If you eat your greens, it supposedly ensures good fortune for the new year, 2019. We enjoy using our Hardwood Smoked Thick Sliced Bacon in a mess of greens! Last but not least, pork is considered a sign of prosperity. n some cultures because pigs root forward. During our New Year’s Day dinner, we usually have a Cheshire Pork Chop cooked in our cast iron skillet. We’re big fans of the presentation of our Bone-In Ribeye Chops! Article credit to The Spruce Eats for sharing traditions on New Year’s Day.